Homeowners will be liable to pay the new annual household charge of €100 from January 1st, under Budget measures unveiled this week. They can choose to make one payment or to pay it in instalments by direct debit four times a year. Some households will not have to pay, including those in some yet-to-be-named unfinished housing estates and people who have had to leave their homes through ill health. The charge will stay in place until a valuation-based property tax replaces it, as agreed with the EU-IMF. The household charge will be collected by the Local Government Management Agency (LGMA), and homeowners will be able to pay either by post or online. People owning more than one property will have to pay it on top of the €200 Non-Principal Private Resident (NPPR) charge, which is also collected by the LGMA. The agency will launch an ad campaign telling homeowners how to pay once the Bill providing for the charge become law. The onus is on property owners to pay the charge; households will have three months to pay, if they are not paying by instalment. There will be late payment penalties, ranging from 10% of the amount outstanding if the charge has not been paid six months after the due date up to 30% after 12 months. The charge will be waived for people on mortgage interest supplement as well as those living on unfinished housing estates which will be named by the Department of the Environment. Properties to be exempted include homes a person has been forced to leave due to long-term mental or physical infirmity (e.g., an elderly person who has moved into a nursing home); residential properties owned by a charity, the Government or the HSE; social housing, e.g, voluntary and co-operative housing and residential properties to which commercial rates apply. 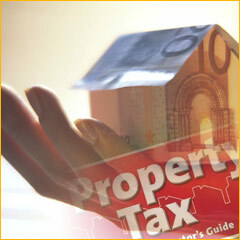 A full property tax will require a property valuation system, Minister for the Environment Phil Hogan, said this week. He is to establish an inter-Departmental group to advise him by mid-2012, on the design, scope and implementation of the tax.